I been thinking of late about upgrading from my Sony 700es amp,im happy with the TT set up and cd player so temptation was beginning to creep in. Croft amps kept springing to mind and ebay searches but as ive never heard anything valve before i was a little concerned that they might not drive my Yamaha ns1000's well. Time went buy and i begun to question if i really needed to bother,the sony is a very good amp and i felt it wasn't lacking anywhere in particular. 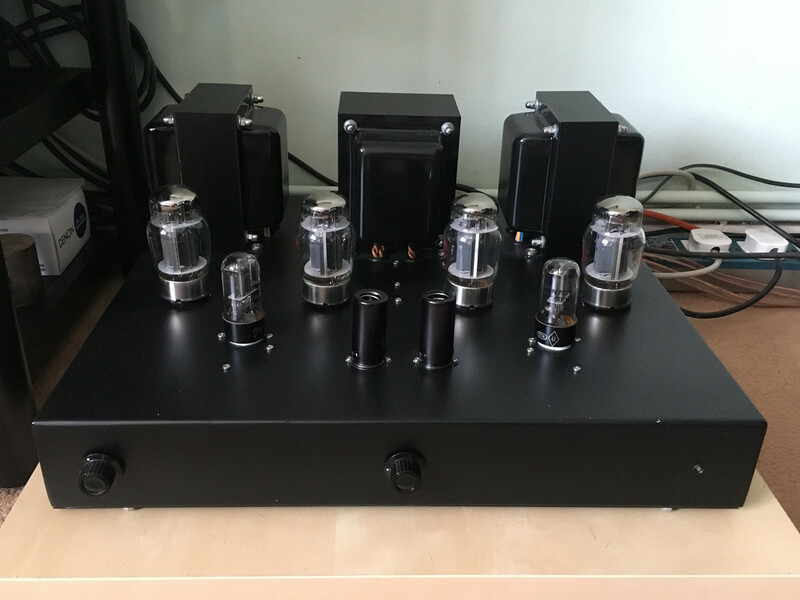 Then on Saturday i noticed in the private exhibitions thread a John Wood KT88 amp for sale. I made contact and arranged to view the amp on Sunday. Well i have to say i had a lovely time hearing the amp,thanks again Nick,i also heard how it compared to a McIntosh MA7000 beast of an amp and there really was not much in it. It was one of those,oh what the hell moments where you worry about the cost and can i afford it? later lol. So after driving very carefully back to Brighton with it i kissed my 2 lower vertebra good bye and lifted it up 2 flights of stairs. With it all rather quickly plumbed in i sat back and heard it through my speakers for the first time,within seconds i knew id done the right thing in buying it,it sounds absolutely, stunning,more bass,more grip on the bass,better top end in fact just better everywhere,i really dont know how to describe it better than by saying a veil has been lifted away from the speakers,i know i know its an old saying but its true in this case! 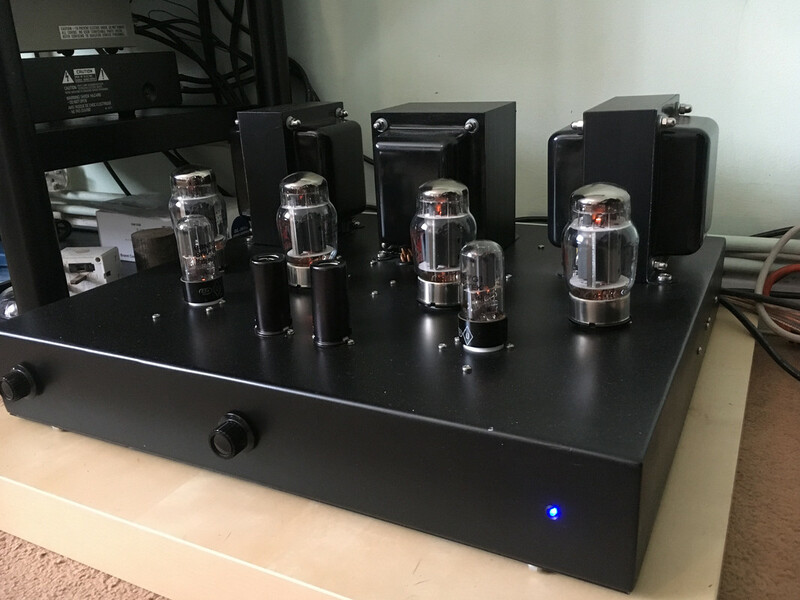 I think the warm natured sound of valves compliments the metal mid and tweeters of the yammys very well.At the moment i just cant stop listening to it.film soundtracks like dances with wolves or gladiator sound spectacular,you just get immersed in the whole musical experience. So to recap,am i happy? Hell yes i am!! Last edited by karma67; 19-04-2018 at 15:45. Although [and I am sure you will agree ] there is a notable absence of bling on these amps, there's a lot of good stuff under the hood, where it matters. Looks like the money has been spent where it matters, which is all that counts at the end of the day. Glad you are happy with it Jamie. I have a couple of early WAD amps that look similar but sound very well. It’s the quality of the parts and particularly the iron that make the difference! 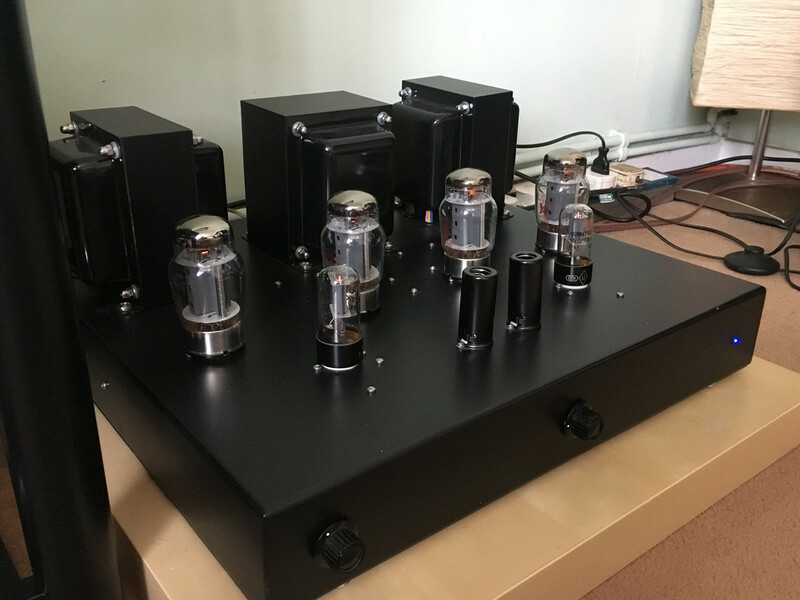 Really pleased to hear you loving the valves. There's just something right about what they do, even in cheaper Amps. 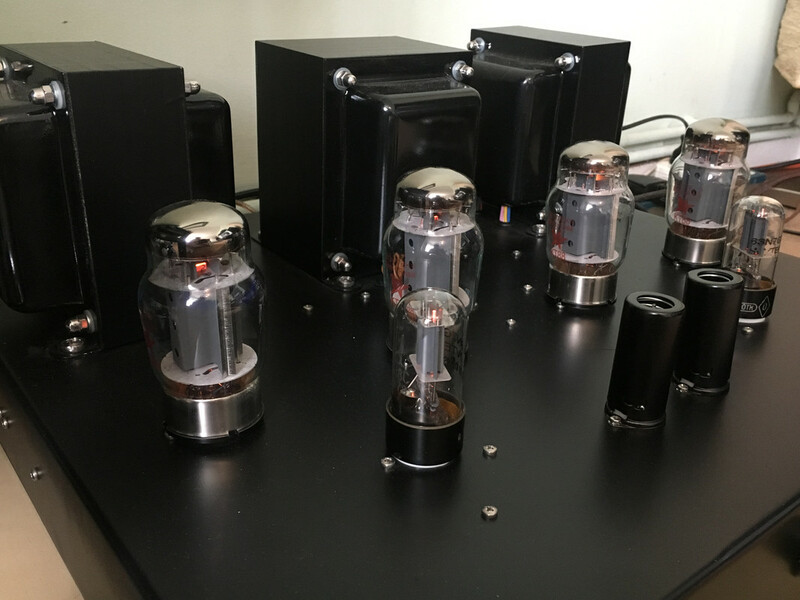 The fluidity of the valve amp I loaned is what made me move to the FB-Monos. Whilst not fully valve (Hybrid), they offer a lot of what i like. You're in better shape than me if you could lug that beggar up two flights of stairs. Thought you would eventually get round to swapping something else in for that Sony. Well done, Jamie - who needs 2 lower vertebrae, anyway? congratulations on your new purchase and for the muckiest mains plug of the year award! I also like how you have tapped the valves into the central heating system. ha ha that is for the side lamp,trust me all the plugs that matter are spotless inside,i spent a few hrs i wont get back cleaning them as well as the ancient olson mains block. You have a lamp plugged into the same distribution board as the hi-fi? Man, even I wouldn't do that. That plug really is minging. Good spot that man. So the money spent on my big 4k monitor was worthwhile after all!